For patients suffering from sore and painful gum conditions, our experienced dental team uses a special process to fully restore your gums. We know that the health of your gums and soft tissues is just as important as the health of your teeth, yet sometimes this crucial part of oral health is overlooked. This oversight can sometimes lead to serious conditions such as gingivitis (the initial stage of gum disease usually caused by plaque) and periodontitis (inflammation of the gums and supporting structures of the teeth.) In fact, research studies have shown a link between gum disease and high blood pressure, arthritis, diabetes, and even complications during pregnancy. 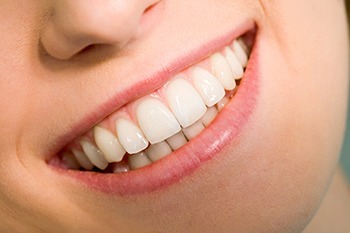 If you need gum treatment in Rancho Cucamonga, we are committed to the health of your entire mouth. Our dental team is meticulous about checking for any signs of gum disease and oral cancer. Our patients benefit from the latest in advanced technology, such as our state-of-the-art, high definition intraoral cameras to visualize any tissue abnormalities. Our all-in-one office of dental specialists can treat your gum condition in the early stages before it requires a more advanced treatment process. Schedule Your Gum Treatment in Rancho Cucamonga Appointment Today! As one of the premier dental and orthodontic practices in Rancho Cucamonga, CA, our team at California Dental Care & Orthodontics also provides 5-star-rated oral health care to patients from Alta Loma, Ontario, Upland, Claremont, Fontana & Rialto, CA.